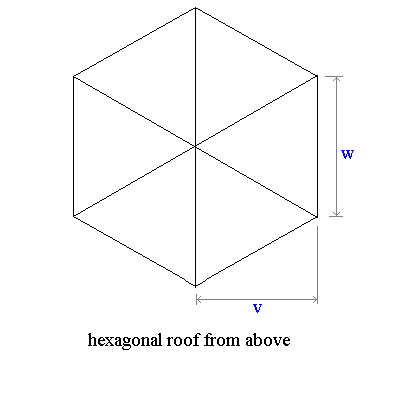 If for some reason you'd prefer a square based roof, click here. 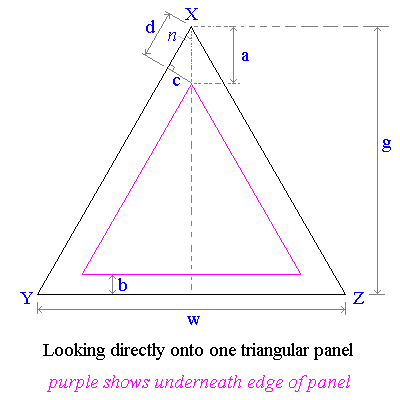 Each of the 6 triangular panels will look something like the 3-D model below (again, drag it with your mouse). Note the edges are bevelled. 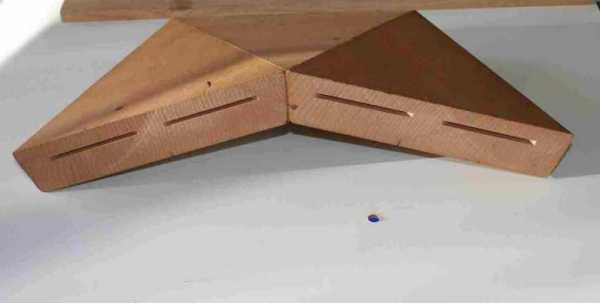 Here is a photo of half a roof, kindly sent by Bob Sims in Australia. Bob reports that it's hard to cut the bevel angles accurately enough. Note here that the bottom edge is unbevelled - an aesthetic choice and a good one here I think. 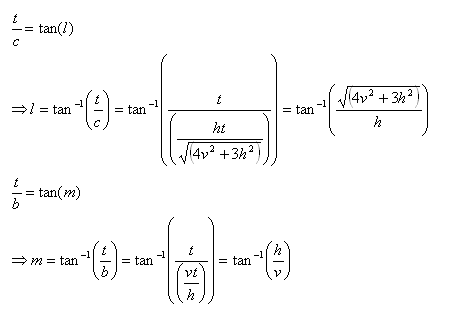 I will give you the calculated measurements for the roof first, then if you are interested you can review how they are derived. Firstly we have to decide what size hexagon base to have. 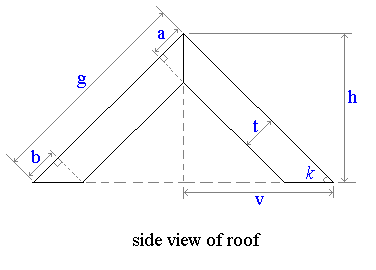 We need to know the size of both w and v.
Now decide the height h of the roof, and the thickness t of the wood you'll be using. We know what size w is from above. Plane off the unwanted wood. 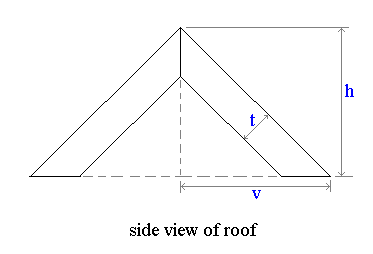 We have found the value of a, which defines a point on the underside of the triangular panel directly under the roof's apex. 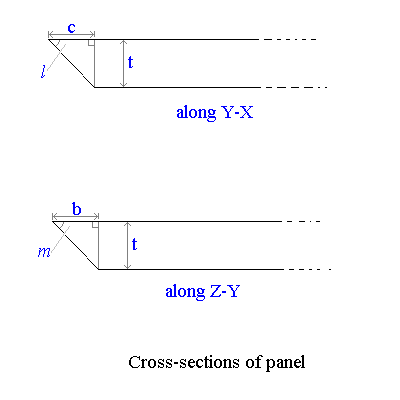 We know that when 2 planks meet at some angle the bevel will be the same right along the edge. 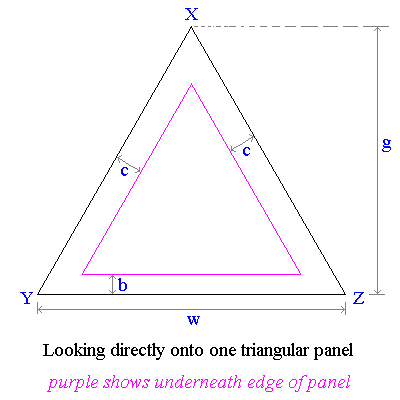 So, the purple line to mark on the underneath edge will be a constant distance (viewed from above) from the top edge X-Y - shown as c here. 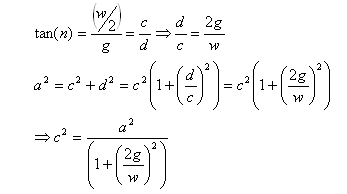 Knowing a we can derive c.
page date: 13Jun06. 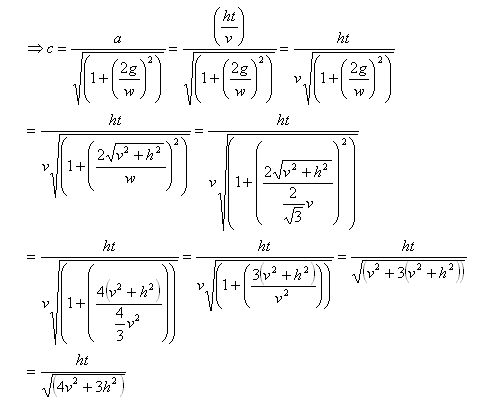 I enjoy correspondence stimulated by this site. You can contact me here.